on The Day of the Presidential Inauguration. Donald Trump will be 70 years, 7 months and 7 days old! 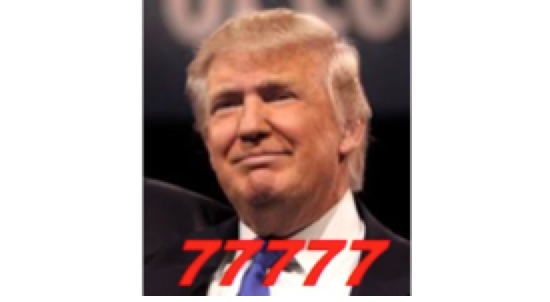 777. Perfect numbers 🙂 He also won the elecotral [electoral] vote 304-227 (Trump to Hillary) with a difference of 77 votes. The final electoral tally (also here) was 304 (Trump) to 227 (Clinton). 304 – 227 = 77. That’s a lot of 7s. Here’s what my Doreen Virtue “Angel Numbers 101” has to say about those numbers. So whether you are behind the Trump or not, it certainly appears that these numbers are pointing in a positive direction. I would say this is a “huge (‘yooooge’) synchronicity”, as David Wilcock might say.